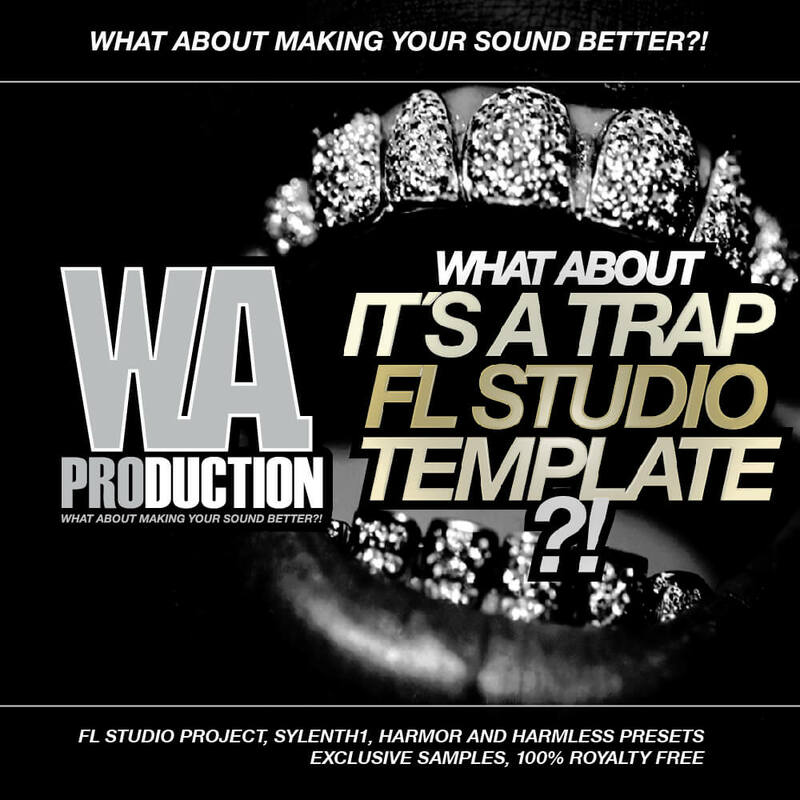 ‘What About: It’s A Trap FL Studio Template’ brings you a huge Trap inspired FL Studio project, inspired by EDM/Trap producers like Snake and Lil Jon. You’ll find huge drops, massive drums and a whole host of samples. This product contains four exclusive Sylenth1 Trap presets, 1 Harmor and 1 Harmless preset together with 11 drum, 6 FX, 3 vocal and 2 synth one-shot samples. Inside this FLP you will have full access to the techniques incorporated in the making of this pack. Find out how we’ve used compressors, maximisers, equalisers, limiters, delays, reverbs, wave shapers, stereo effects, distorsions, and much more to craft this huge sound. Everything is colour coded so you can easily find the part you want to know more about. Compatible with FL Studio V11.1.0 . Sylenth1 V2.2.1 is required.